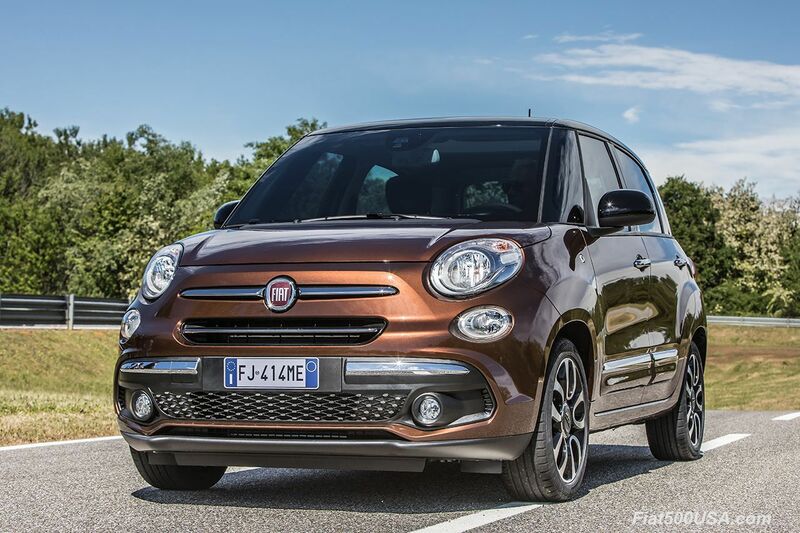 We have confirmed a new, refreshed Fiat 500L MPV will arrive in North America for 2018. Fiat has released images and details of the new 500L which is set to debut in Italy the weekend of June 17-18. In Europe, the redesigned 500L is available in three trim levels/versions: Urban, Cross, and Wagon. 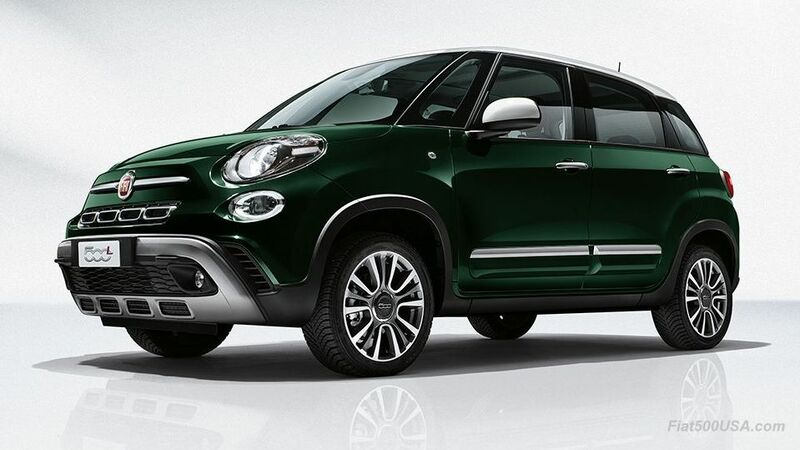 Although we have confirmation the redesigned 500L will indeed be available in the US, details on which versions are coming have yet to be released. The 500L Urban and Cross models seem to be roughly the equivalent to the previous available in the US Lounge and Trekking models. While it is highly likely the Cross will make its way over the Atlantic, the longer, 7-passenger 500L wagon is more of a question. 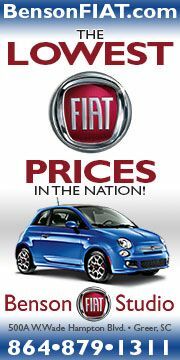 Since its introduction five years ago in Europe, the Fiat 500L has been the best-selling car in its class. 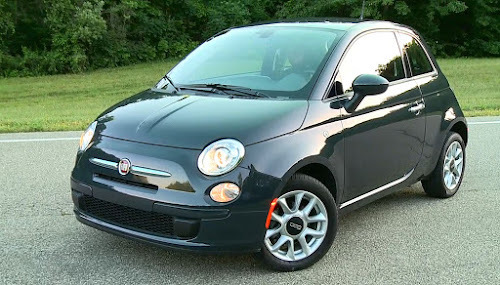 The combination of room, versatility, and comfort making it a favorite in its segment. 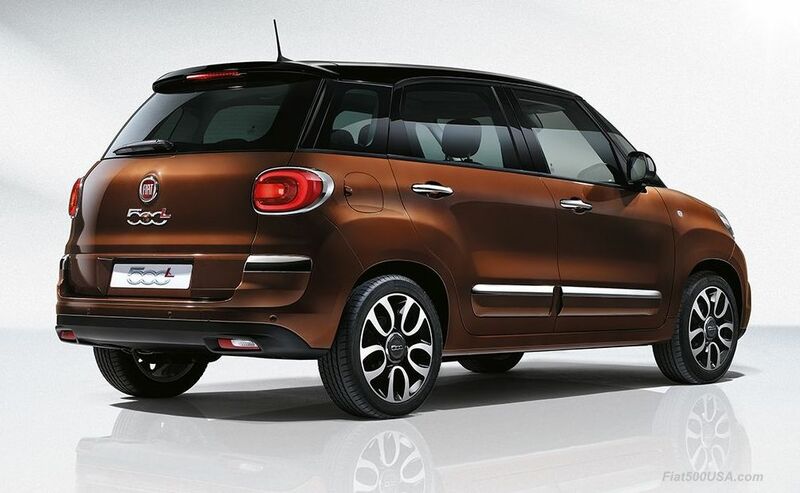 The best way to think of the 500L is to consider it a Minivan for those who would never drive one. This is a very European car, meaning this family car is all about function and the driving experience. Stand out features in the 500L are the interior roominess of a full-size car and front and rear seats that adjust forward, back, recline and fold, giving 1500 possible ways to configure the seating arrangement. 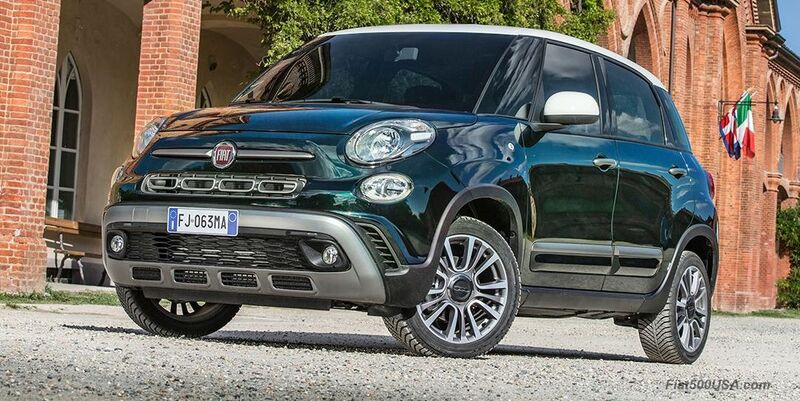 The 500L's versatility is unmatched. Strangely, all these family car attributes haven't resulted in any meaningful sales figures in this country, where it seems there is a preoccupation with form rather than function. Sources inside Fiat USA say the North American 500L will be redesigned to address this and take some of the quirkiness out of the car and upgrade the styling. 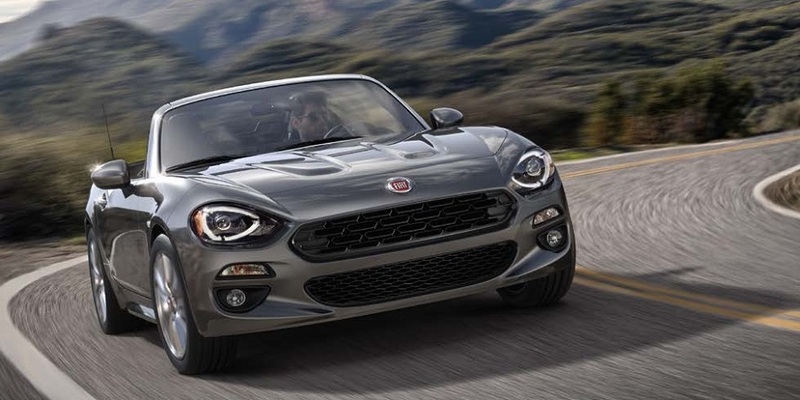 Expect to see a more sophisticated look that fit more into North American tastes and expectations. 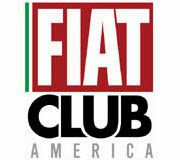 Assumptions are the NAFTA car will look similar to the European one. 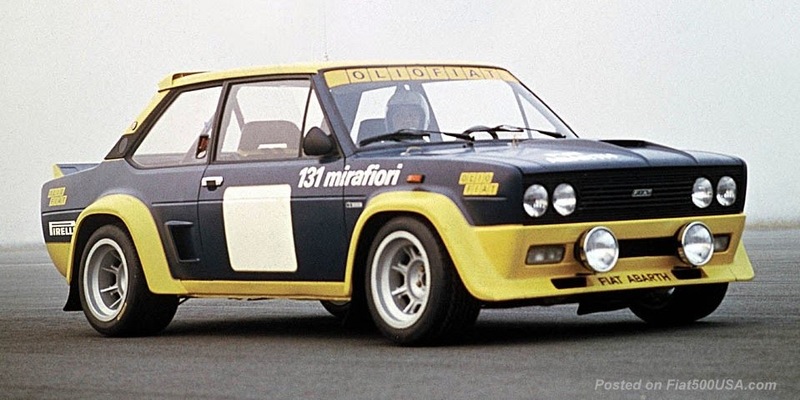 Redesigned front and rear fascias. 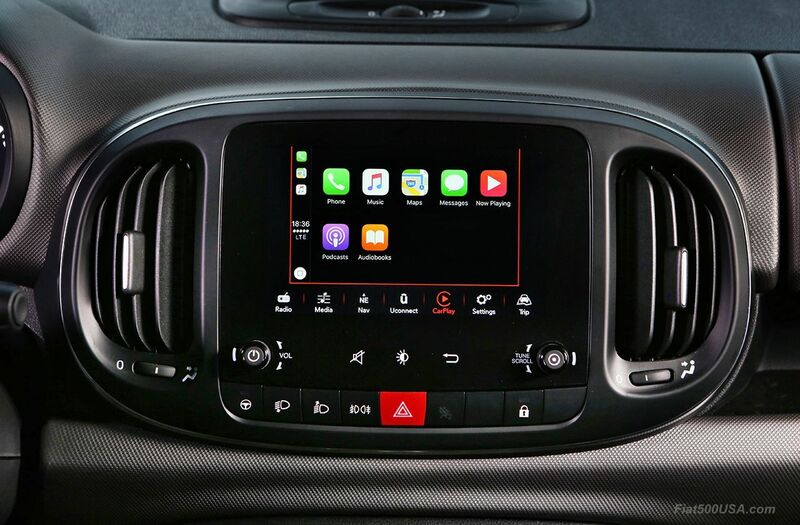 More convenience and technologies: Uconnect ™ HD Live 7-inch high-resolution touchscreen system, Apple Car Play, and Android AutoTM compatibility. New personalities: Urban and Cross. Cross version introduces a new Drive Mode Selector. 40% of all components are new. The 500L Urban edition carries a sophisticated, high-class look with chrome details and trims with almost a jewel-like quality. The front bumper takes styling cues from the recently updated 500 hatch and Cabrio models and now sports LED running lights in the shape of the stylized zeroes in the 500 logo. 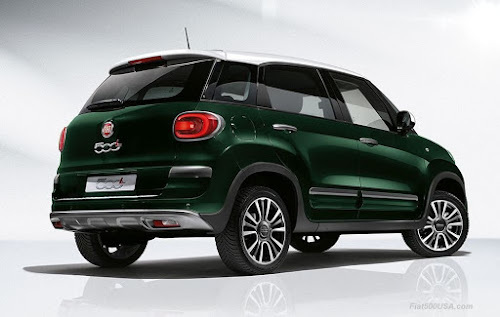 Chrome is used tastefully all around the car and gives the car an upmarket look. 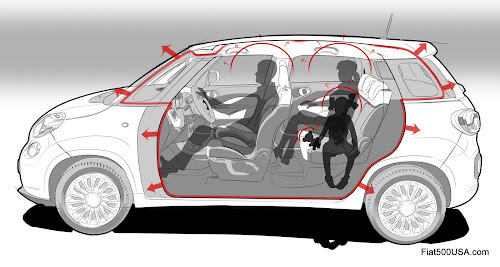 New body side protection mouldings replace the older design. 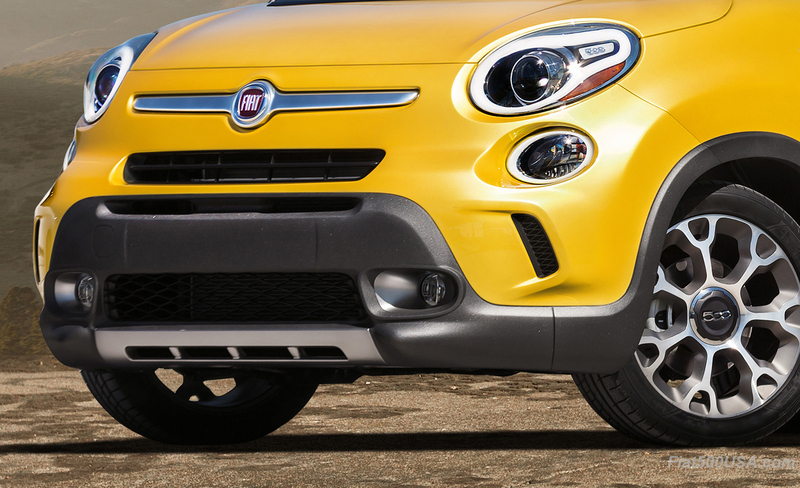 The fog and reverse lights are on the underside of the bumper for increased effectiveness. The new Cross version is geared towards crossover buyers with an athletic sporty persona and rugged good looks. 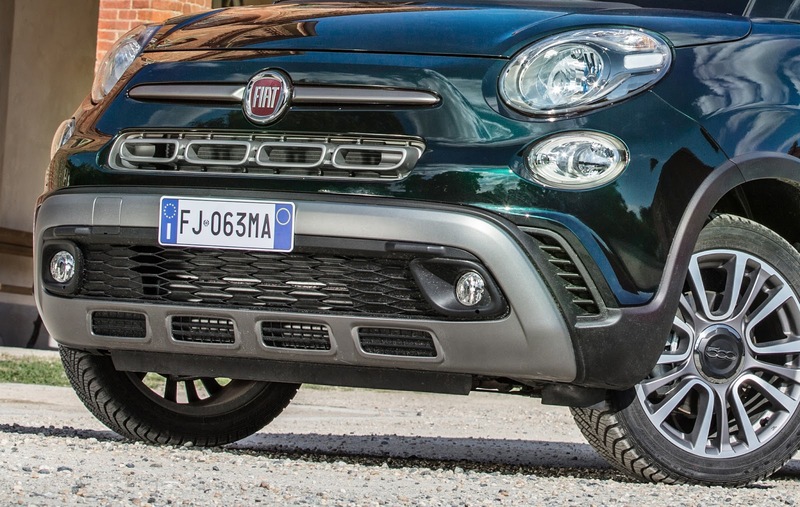 There is a new bumper design featuring prominent front and rear skid plates and Cross rides an inch higher than the Urban edition. Brushed aluminum brightwork replaces the chrome trim used on Urban models. 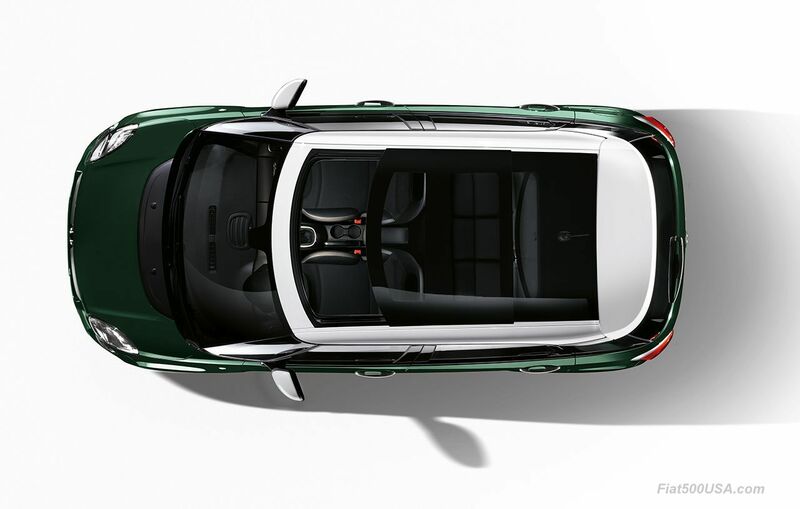 Inside the Cross version is a new Drive Mode Selector that allows you to select three different drivetrain calibrations depending on the desired driving style and road conditions: Normal, Traction+ and Gravity Control. Normal is self-explanatory, while Traction+ gives enhanced take off traction in slippery conditions like snow, ice, and mud. It can be activated up to 30km/h. Gravity Control is borrowed from Jeep and allows descending steep slopes at a controlled constant rate. 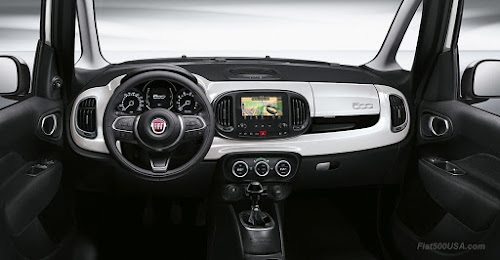 All versions of the 500L get a redesigned instrument cluster that consists of a round speedo and tach on either side of a 3.5-inch TFT color display similar to the one used in the 500X crossover. The TFT in the center displays the trip computer as well as other useful vehicle information. The lower part of the dashboard now features larger storage compartments and the introduction of new for Europe central armrest (NAFTA cars already had an armrest). 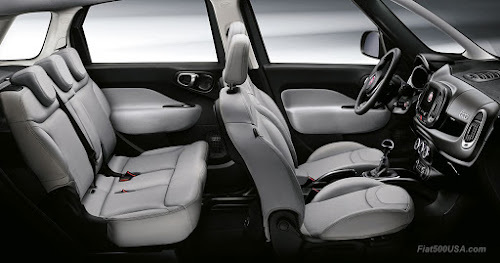 The gear shift position is redesigned and placed higher up for greater driving comfort. Interior illumination has been improved with ambient lighting located in the central console and doors. The rear park assist camera now has improved resolution in poor visibility. 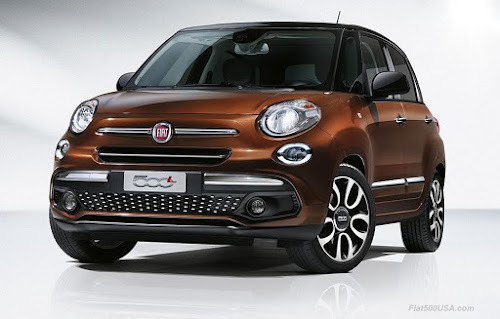 A new steering wheel with chrome trim that resembles 500 hatch and Cabrio models has also been added. 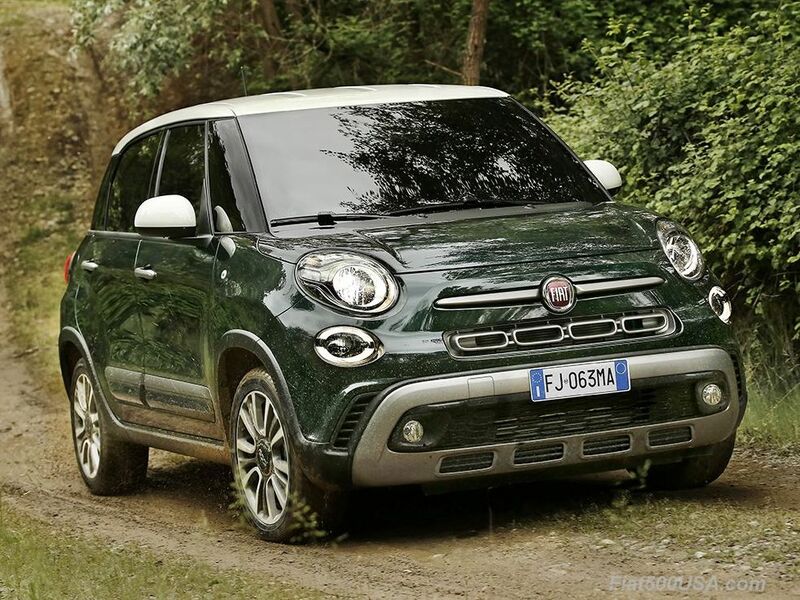 Connectivity is an essential requisite in any modern car, and the 500L has this well covered with what looks like an endless list of available features. text reader and voice recognition. 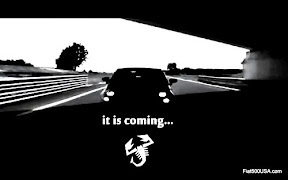 New TomTom 3D built-in navigation system. music streaming with Deezer and TuneIn, news from Reuters and connected navigation with TomTom LIVE, and you can keep in touch with your friends via Facebook Check-in and Twitter. 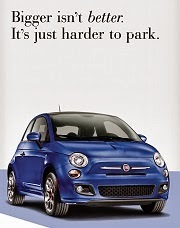 Eco-friendliness and monitoring functions wherever you choose to go with eco:Drive and my:Car. Keep in mind; these features will vary from market to market. 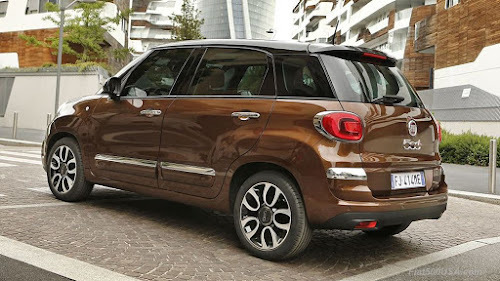 The new 500L can be had in 37 color combinations when you factor in the ten pastel or metallic colors it comes in combined with three types of available roof finishes: body-coloured, glossy black and white or matt black. Exact availability in the US for the redesigned 500L has not been released, but it can be assumed it will be later this year or beginning of 2018. 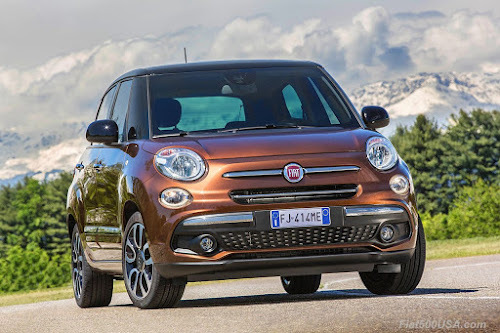 Along with the new 500L, the US is getting redesigned 500 hatch and Cabrio models that will arrive spring 2018. We'll be watching this closely.